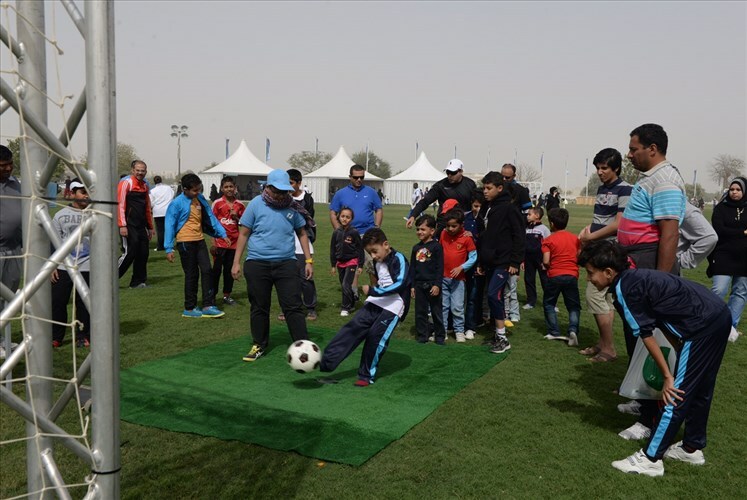 All members of the community who are keen to participate in group activities and spend some quality time together can do so through the various sporting events being organised on Aspire Zone’s outdoor pitch (10). Open from 9:00 am to 3:00 pm, these include popular sports such as football, basketball, volleyball, calisthenics demonstrations, parachute games, mini telematch competitions, and movement with music. Aspire Zone Foundation has also allocated a large space in Pitch 10 for young children to engage in fun activities and games in a safe and secure environment. These include bouncy castles, obstacle courses, and football skills for kids. Soft play areas for children under the age of two are also available, meaning that even the youngest members of the family can take part in the fun. Meanwhile, mothers and daughters seeking a private and comfortable space can participate in women-only activities that take place on the indoor pitches of Aspire Dome from 10:00 am until 1:00 pm. During such activities, they can learn new skills in gymnastics and basketball under the supervision of coaches from Aspire Academy’s Multi-Sport Skill Development programme coaches. Every year, AZF adds new and innovative elements to its NSD activities designed to make the event as engaging and appealing to as many members of the local community as possible. Uniquely for Qatar, AZF has incorporated into its activities this year a new sporting trend that is growing in popularity – “Nordic walking” – an affordable sporting activity that burns large numbers of calories and helps achieve total body fitness. Originating from the Scandinavian region in northern Europe, several recent studies have emphasised the Nordic walk’s crucial role in improving overall physical and mental health. Drawing on the extensive experience of their staff, world-renowned coaches from Aspetar – one of Aspire Zone Foundation’s member organsiations – will be situated in five stations to demonstrate the sport to visitors above the age of 18 who are interested in trying it. The demonstrations will start from 11:00 am in front of Aspetar’s state-of-the-art West Wing. Furthermore, Aspire Zone Foundation, in collaboration with the Embassy of Japan in Doha, will also organise live ‘Kendo’ demonstrations. Kendo is one of Japan’s oldest martial arts and involves participants competing using bamboo swords. Visitors keen to try Kendo will be able to do so under the supervision of highly trained professionals, starting at 9:00 am on pitch 10. Visitors to Aspire Zone will also be able to enjoy a wide range of indoor activities, starting from 10:00 am in Aspire Dome. These include indoor wall climbing, individual football activity, as well as fitness and gym classes delivered by ASPIRE ACTIVE programme. In addition, Aspire Academy will organise a ‘Beat the Champion’ event, made up of a series of sporting challenges that include a 20 metre sprint, ball throwing, vertical jumps and stationary bike races. During these activities, participants will be able to trial Aspire Academy’s innovative monitoring technologies which measure their performance against the world’s top athletes. Other activities provided by Aspire Academy’s Multi-Sport Skill Development Programme for men include athletics, squash, fencing and table tennis. 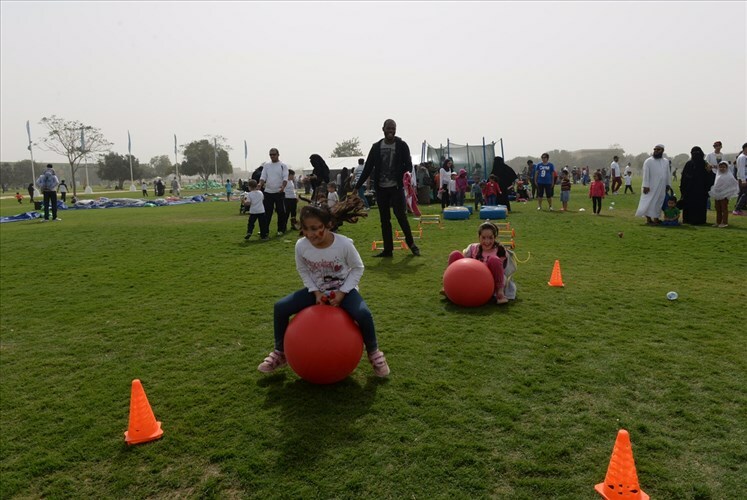 Building on the successes of previous years, other highlights in this year’s programme include Aspire Zone’s annual Fun Run and the ‘5,000 Step Journey’, with over 12 educational stations that provide valuable tips and advice for participants about physical activity and healthy lifestyles. These activities will take place on courses that are specially designed to be safe, convenient and accessible to enable as many members of the community as possible to take part. During last year’s NSD all manner of visitors took part, including young and old, men and women, parents with baby strollers, and people with special needs. 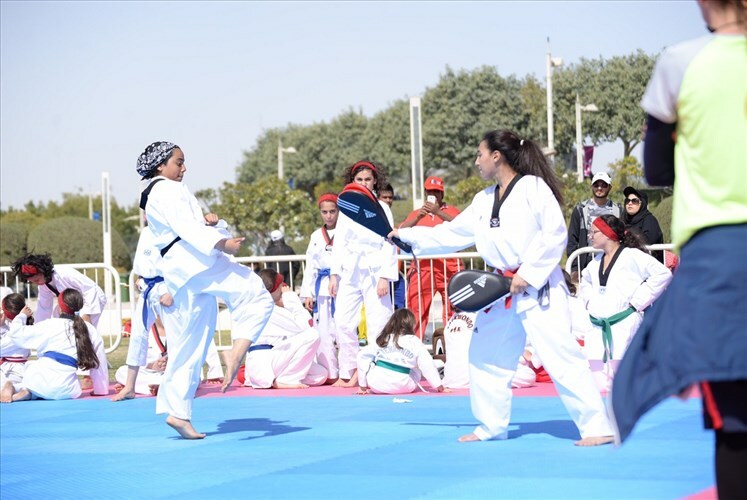 AZF’s efforts to promote sporting activities extend beyond Day by providing year-round health activities and educational programmes designed to keep community members active. These draw on the expertise of its affiliated MOs – Aspire Academy, Aspetar, Aspire Logistics – as well as its vast and extensive capabilities and expertise, spacious outdoor fields and world-class facilities. Taken together, these support Aspire Zone Foundation’s mission to encourage engagement among all members of the local community in an ideal sporting environment in support of the Qatar National Vision 2030 and its aim to enable all of Qatar’s people to participate fully in economic, social, and political life and contribute to sustaining a prosperous society. 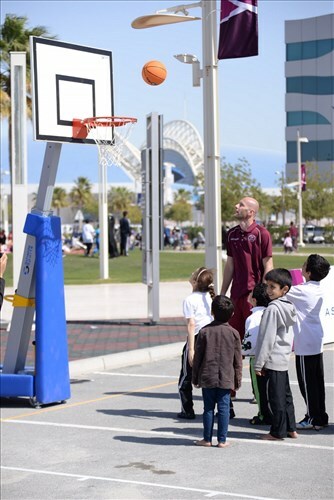 All eyes will be on Aspire Zone on the 14th of February, as the Foundation and its affiliated member organisations prepare to launch one of the biggest National Sport Day celebrations in Qatar, laying on a programme that offers the perfect blend of sporting activities and family fun. 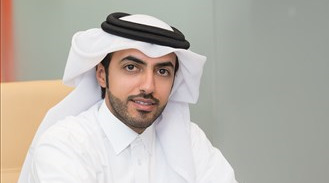 For its sixth annual NSD celebration, Aspire Zone Foundation will introduce a number of unique sporting activities, available in Qatar for the first time. These include several innovative Eastern and European sports, tailored and presented in a way that appeals to local preferences and expectations.